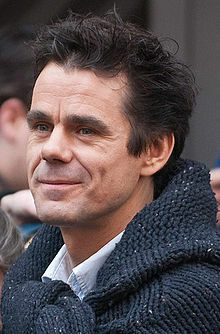 Tom Tykwer (German: [ˈtɪkvɐ]; born 23 May 1965) is a German film director, producer, screenwriter, and composer. He is best known internationally for directing the thriller films Run Lola Run (1998), Heaven (2002), Perfume: The Story of a Murderer (2006), and The International (2009). He collaborated with The Wachowskis as co-director for the science fiction film Cloud Atlas (2012) and the Netflix series Sense8 (2015–2018). Tykwer was born in Wuppertal, West Germany. Fascinated by film from an early age, he started making amateur Super 8 films at the age of eleven. He later helped out at a local arthouse cinema in order to see more films, including those for which he was too young to buy tickets. After graduating from high school, he unsuccessfully applied to numerous film schools around Europe; he moved to Berlin where he worked as a projectionist. In 1987, at the age of 22, he became the programmer of the Moviemento cinema and became known to German directors as a film buff. In Berlin, Tykwer met and befriended the filmmaker Rosa von Praunheim, who urged him to create stories from his own experience. He suggested, for example, that Tykwer record arguments with his girlfriend, and turn them into a short film. Because (1990) was screened at the Hof Film Festival and well received by the audience, which inspired Tykwer to continue pursuing filmmaking. He made a second short film, "Epilog" (1992), for which he took on personal financial debt, but he also gained valuable technical filmmaking experience. Tykwer wrote the screenplay for—and directed—his first feature film, the psychological thriller Deadly Maria. It aired on German television and had a limited theatrical release in Germany and the international film festival circuit. In 1994, Tykwer founded the production company X Filme Creative Pool with Stefan Arndt, Wolfgang Becker, and Dani Levy. Tykwer and Becker wrote the screenplay for Life Is All You Get while working on Tykwer's second feature, Winter Sleepers (1997), a much bigger and more complex production than Deadly Maria. Winter Sleepers brought Tykwer to the attention of German cineastes and film festivals, but he was struggling financially. He knew he needed a new film, and the result was Run Lola Run (1998), which became the most successful German film of 1998, scored $7 million at the US box office, and elevated Tykwer to international fame. As Lola was becoming a success worldwide, Tykwer was already at work on his next film, The Princess and the Warrior, shot in his home town of Wuppertal. The film centered on a love story between a nurse and a former soldier. Miramax produced his next film, Heaven (2002), based on a screenplay by the late Polish filmmaker, Krzysztof Kieślowski. It was shot in English, starred Cate Blanchett and Giovanni Ribisi, and filmed in Turin and Tuscany. He was approached by French producers to film a short contribution to Paris, je t'aime (2006), a film composed of 20 short films by many famous directors depicting love in Paris. Tykwer shot the 10-minute short film, True, with Natalie Portman and Melchior Beslon. He shot the film quickly with almost no pre-production. The result, Tykwer later said, "symbolises an entire life for me, in just ten minutes." Tykwer's next film was an adaptation of the novel Perfume by the German novelist Patrick Süskind. It was filmed in the Spanish cities of Figueras, Girona and Barcelona. Tykwer later made his Hollywood debut with the big-budgeted 2009 conspiracy thriller The International, starring Clive Owen and Naomi Watts, which was shot in several locations ranging from Berlin, Milan, New York City, and Istanbul. The film received a lukewarm reception from the public and critics alike. He directed 2016's A Hologram for the King, starring Tom Hanks and Sarita Choudhury, based on a novel by American novelist Dave Eggers. In 2017 Tykwer co-created the television series Babylon Berlin with directing and writing the screenplay. It's set in the Berlin of the 1920s with 16 episodes in its first two seasons. Since Winter Sleepers, the music for all of Tykwer's films (with the exception of Heaven) has been composed by Johnny Klimek, Reinhold Heil, and Tykwer, unusual for a film director. The trio named Pale 3, originally a film scoring group, expanded to produce music unrelated to film. ^ "Hof Film Festival". Hofer-filmtage.de. Retrieved 12 March 2012. ^ "Bavarian Film Awards" (PDF). Bayern.de. Archived from the original (PDF) on 25 March 2009. ^ "locationNRW". Locationnrw.de. Retrieved 12 March 2012. ^ "Bayerisches Landesportal: Ministerpräsident Stoiber verleiht Bayerischen Filmpreis 2006". Bayern.de. 19 January 2007. Archived from the original on 9 February 2012. Retrieved 12 March 2012. ^ "Golden Globe Nominations for 2013". Deadline.com. Wikimedia Commons has media related to Tom Tykwer.